11 photos taken while leaving Aberdeen for Kirkwall aboard the Hrossey. 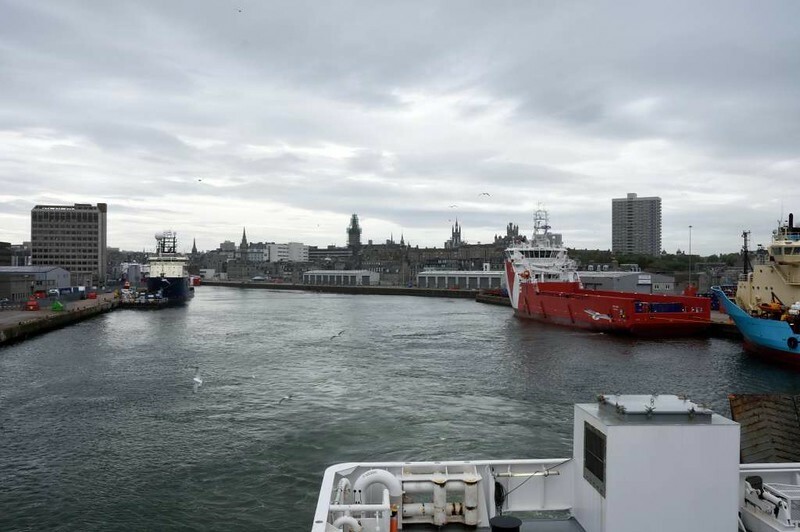 Leaving Aberdeen, 23 May 2015 - 1657. Looking west as the Hrossey sets out for Kirkwall. Grampian Surveyor is at left and Vos Pace (red) and Maersk Feeder are at right.